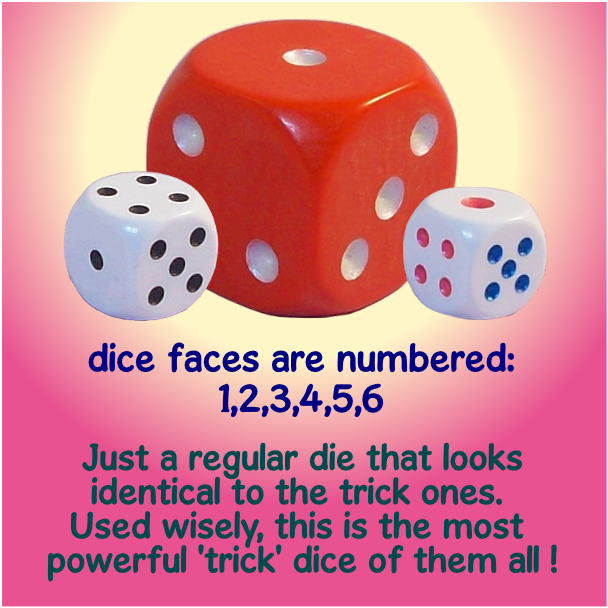 Averaging Dice (or ‘average dice’) have faces marked 2, 3, 3, 4, 4, 5. 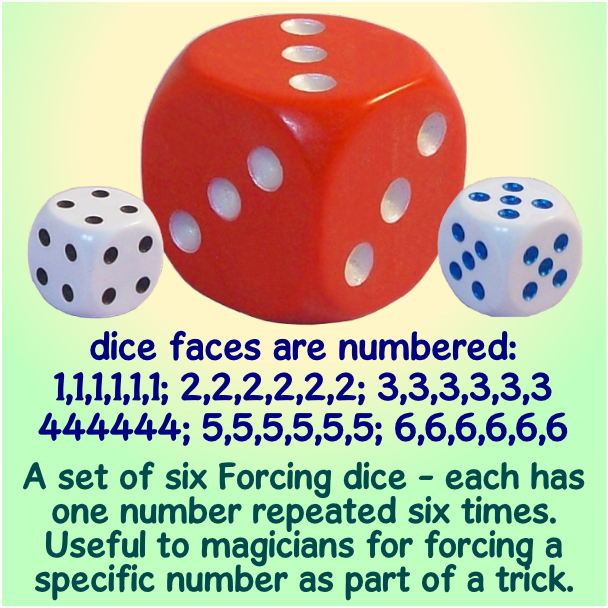 The numbers are arranged so that opposite sides add up to seven. 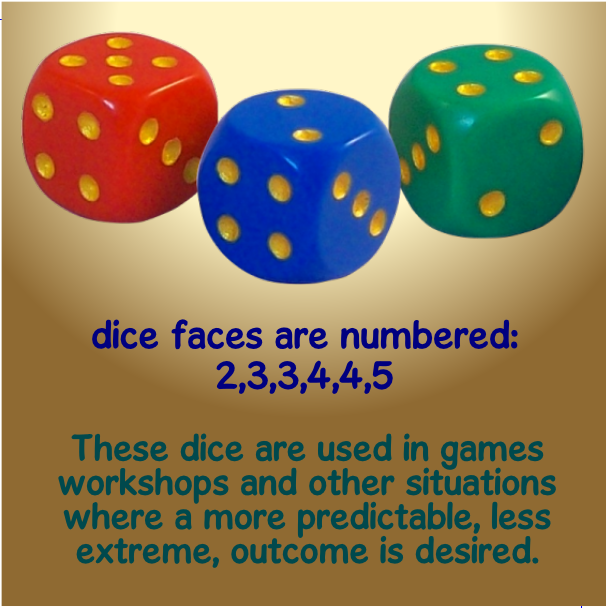 These dice are often used in role playing games to eliminate the extreme values. 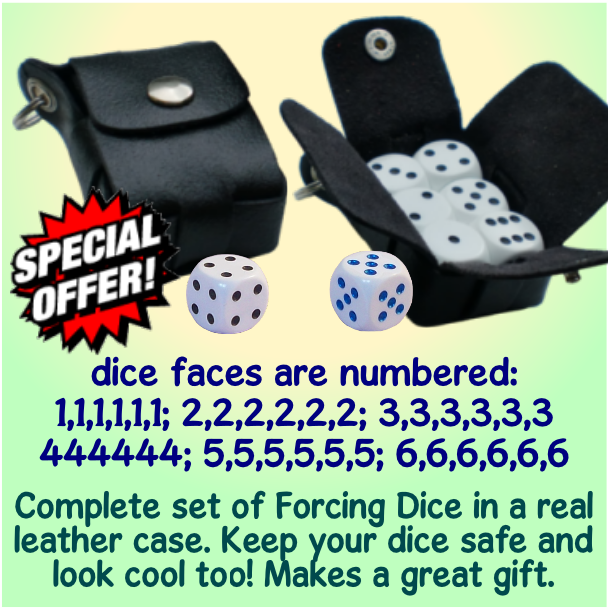 There are 36 possible combinations of rolling two 6-sided dice. 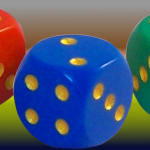 The left-hand diagram graphs the number of different ways you can roll each of the possible outcomes using two average dice. 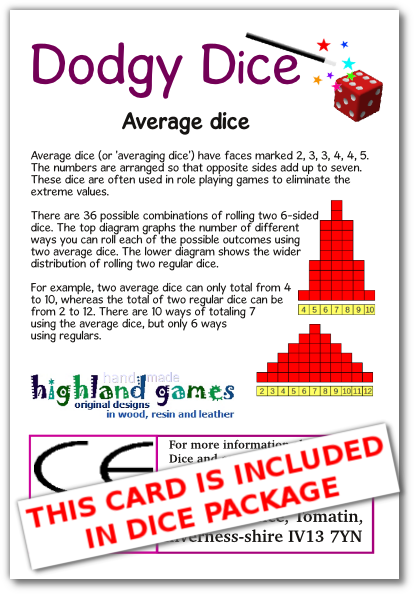 The right-hand diagram shows the wider distribution of rolling two regular dice. 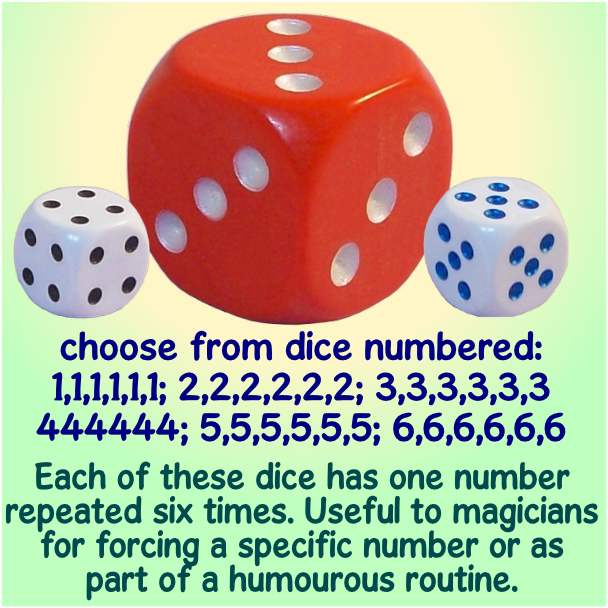 For example, two averaging dice can only total from 4 to 10, whereas the total of two regular dice can be from 2 to 12. 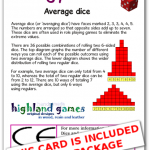 There are 10 ways of totalling 7 using the averaging dice, but only 6 ways using regulars. Colour choice: blue, red or green.